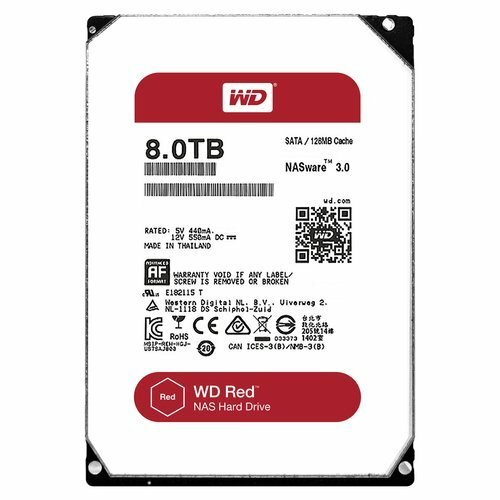 WD Red is the only hard drive designed for NAS systems that have 1-5 drive bays. Available in captivities ranging from 1 TB to 6 TB, WD Red is designed specifically for home and small office NAS systems. The drives are extensively tested for compatibility and reliability in the demanding operating environment of a 24×7 NAS system. WD’s exclusive NASware firmware technology enables seamless integration and balanced performance. Innovative technology reduces power consumption and lowers the operating temperature, and with a 35% improvement in MTBF over desktop drives, WD Red is a more reliable and robust NAS hard drive solution.